Located on Pine Ave in a scenic commercial strip mall surrounded by palm trees, The Donut Experiment offers you perfectly made, fresh and fully customized donuts. It has become Anna Maria Island’s go-to donut shop, where you can get a unique experience of creating your own donut from scratch using a vast selection of toppings. Be sure to remember the location because chances are that you’ll want to visit more than once! The Donut Experiment started in 2012 as an innovative franchise concept created by Shawn and Cecelia Wampole. After vacationing to Anna Maria Island from Philadelphia and found it surprising that there wasn’t a single donut shop on the island. Although they initially only joked about starting a donut shop, they soon turned their idea into reality. However, they didn’t want to just start another version of Dunkin Donuts. 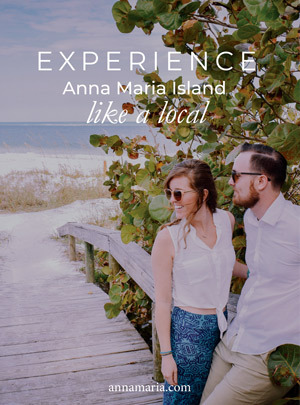 They gave Anna Maria Island something a little different, with the ability to choose exactly what they wanted on their donuts rather than picking from a selection of pre-made donuts. 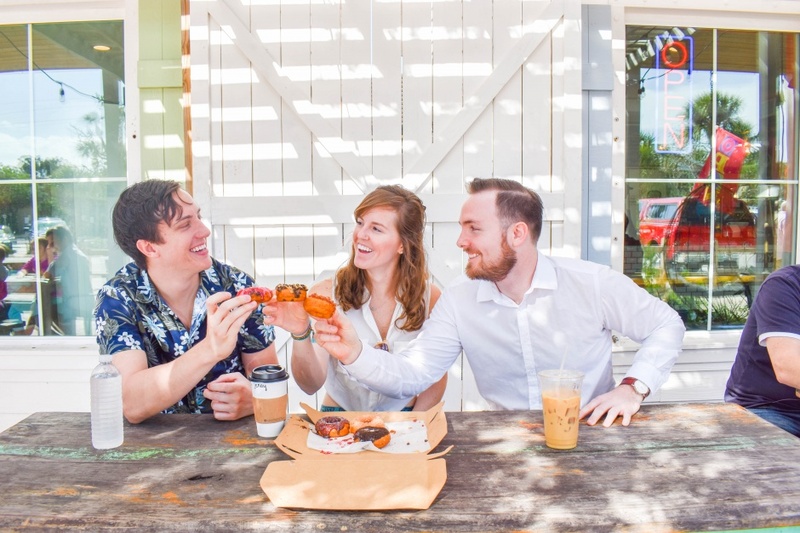 The concept was a hit, and soon after its launch, The Donut Experiment became the premier donut shop on the island and one of the top family attractions for both locals and tourists. You’re used to having it your way at most restaurants, so why shouldn’t it be the same at a donut shop? Customers of The Donut Experiment love having the ability to choose their toppings and create sometimes wacky donuts with options like candy bars, bacon, graham crackers, Reese’s pieces, fruity pebbles, and Oreos. You can choose your own icing with the toppings such as glaze, vanilla, maple, caramel, and chocolate. There’s always a specialty donut on the menu as well, with rotating options such as key lime, Sriracha (with peanut toppings and real Sriracha sauce! ), maple bacon, and others. The Donut Experiment has been expanding to other nearby communities in the past few years, showing that it’s a true winner among both locals and travelers. You can’t beat the freshness of their donuts and coffee, the originality of the specialty options and topping choices, the great prices and warm service that you’ll always get there. You won’t find any donut shop like this one, and it’s located right by many of our top Anna Maria Florida vacation rentals. You can also easily take the trolley to the City Pier if your rental is located in Holmes Beach or Bradenton Beach, and walk right over to the Donut Shop which is just about 10 minutes away.